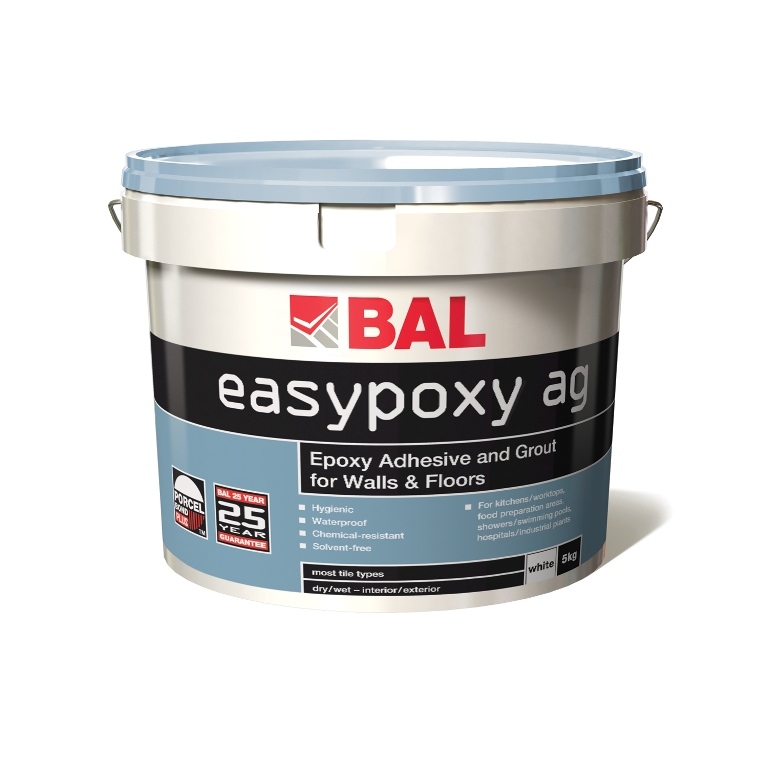 Chemical-resistant and solvent free, BAL Easypoxy AG is a high strength epoxy adhesive and grout suitable for walls and floors. Durable and abrasion-resistant, it provides an excellent set in 24hours with full cure at seven days. Its use is recommended for food preparation areas where a hygienic, easily cleaned surface is required. BAL Easypoxy AG is recommended for; domestic kitchens and worktops, breweries, abattoirs, dairies, swimming and hydro therapy pools, bathrooms, showers and power showers, hospital and industrial/chemical plants. Easypoxy AG provides a two-in-one adhesive and grout solution that is perfect for hygiene critical environments where additional chemical resistance is required. Easypoxy AG is waterproof and crucially does not permit the entry of bacteria or dirt. As a two-in-one product, Easypoxy AG produces significant time and cost savings for your project. White in colour, the product is perfect for ceramics, porcelain and fully vitrified tiles, mosaics and glass or translucent tiles including glass mosaics. 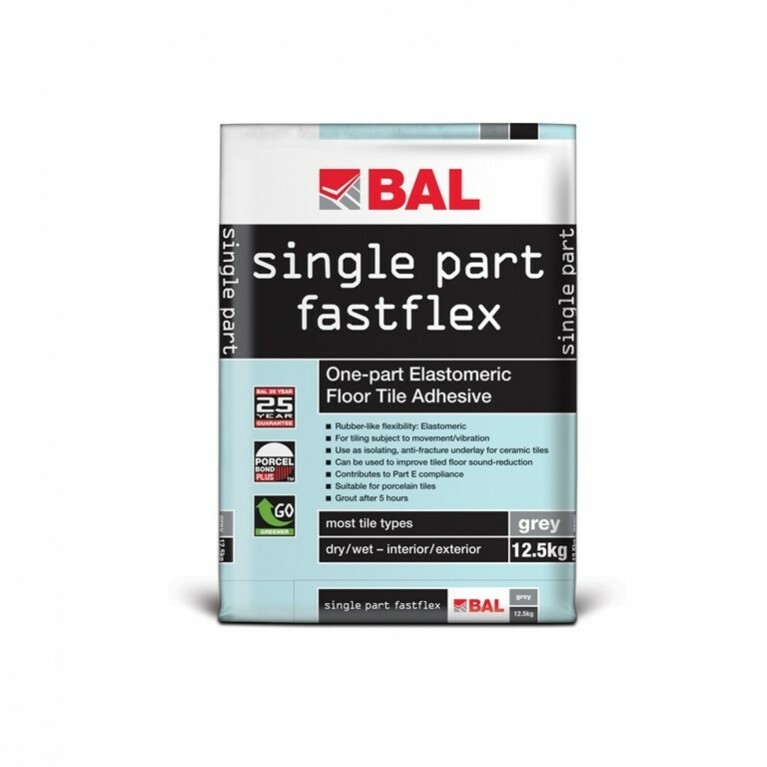 Suitable for use with approved resin backed stone tiles. Ideal for use in wet areas, including swimming pools. Grouting wall and floor tiles; ceramics, porcelain and fully vitrified tiles, mosaics, in dry or wet interior and exterior environments that are subject to chemical attack, or where a hygienic, durable, abrasion-resistant, waterproof finish is required. For joint widths from 2-12mm. Recommended for food preparation areas where a hygienic, easily cleaned surface is required. Search for trusted tilers in your area, read reviews and get a quote today.